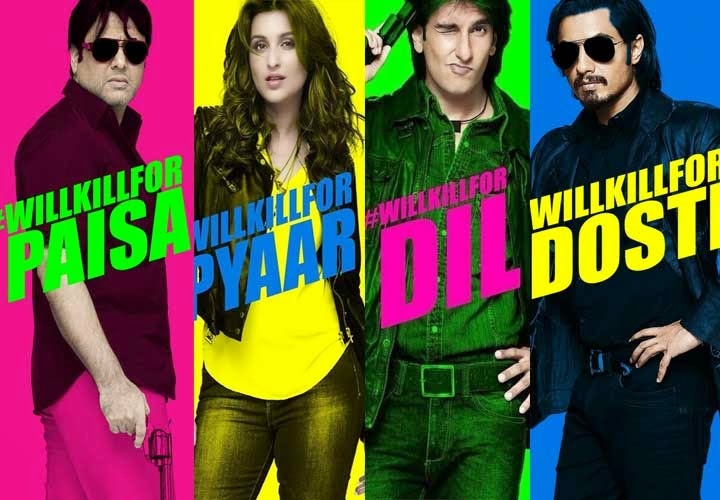 Watch the Official Trailer of upcoming Hindi Film name as "Kill Dil" under Yash Raj Films banner, Starring rising hunk Ranveer Singh, charming boy Ali Zafar, beauty queen Parineeti Chopra and the comedy king in serious avtar, one an only Govinda. 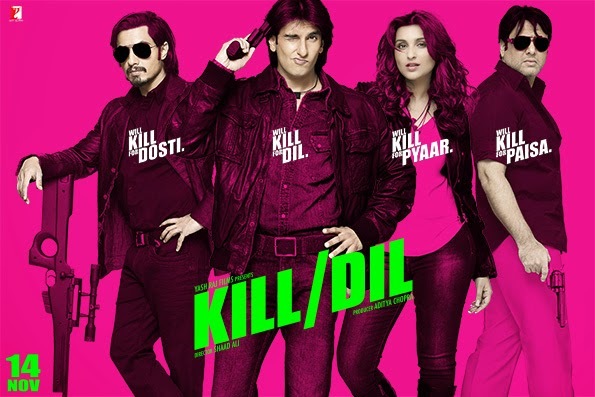 Once upon a time in North India, Two dangerous killers name are Dev acting Ranveer Singh and Tutu acting Ali Zafar, roamed free. Abandoned when young and vulnerable, Bhaiyaji acting Govinda gave them support, shelter and nurtured them to kill. Ranveer Singh: "Tab se gun chala raha hoon, jabse tu apne maa k andar nahi baap ke andar tha"
Ali Zafar: "Pure 100gm ki garam goli daale hai body mein"
Ranveer Singh: "Bachchaa paidaa kahi bhi ho, banta vaisa hi hain jaha bada hotaa hain.."